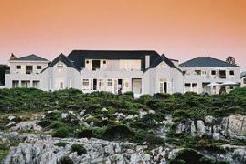 Sandbaai Country House is situated overlooking Walker Bay on the edge of Hermanus. 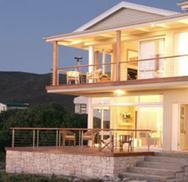 It is a wonderful value for money option when staying in the Whale Capital as a base for exploring the region and a round of golf at Hermanus and Arabella golf clubs. Famous for it�s fynbos, crisp champagne sea air, unsurpassed natural beauty and of course as the best land based whale watching in the world. 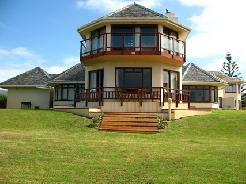 Sandbaai Country House offers elegant yet comfortable accommodation in a warm and sophisticated atmosphere. 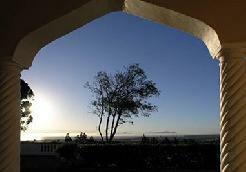 Having its own microclimate, Sandbaai enjoys year round mild weather with average daily sunshine hours of 14 in summer and 10 in winter. The Country House itself is protectively surrounded by the Babilonstoring and Kleinrivier mountains creating its own wind-free micro climate with a stable range of temperatures. During the period July to November you can watch the whales from your bedroom, the lounge or the upstairs games room, while playing pool. 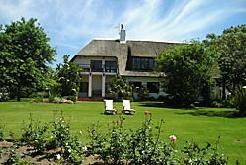 Although primarily a bed and breakfast country house, dinner, light meals and picnic lunches can be arranged on request. There is a fully licensed bar Room, laundry & valet services and a conference room with magnificent sea views, which can host about 15 people. 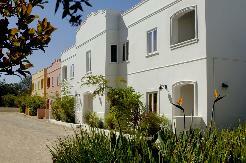 Sandbaai provide beach towels, boogie boards and umbrellas for your beach excursions. Close by are many nature reserves, botanical and wild flower gardens where visitors can walk, hike or stroll, or just sit and enjoy nature's treasures. Enjoy some wine tasting in the nearby Hemel-en-Aarde Valley where Hamilton Russell and Bouchard Finlayson make some of the best wines in the country and we highly recommend Joubert�s in Hermanus for dinner.